Well hello there! 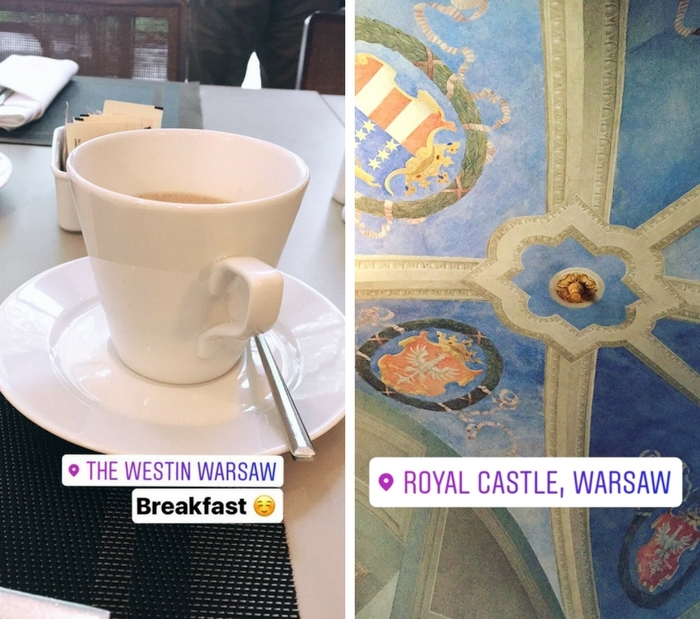 You've probably noticed already but I took a little time off the blog and the main reason being that I've been traveling and spent a week in Warsaw! So I thought I'd share some Instagram peeks with you today from that trip. It's been a long time since I posted a post with this length so prepare yourself. 1) We arrived and checked into our hotel early on our first day so we started with visiting the Saxonian Garden, having a lunch picnic. 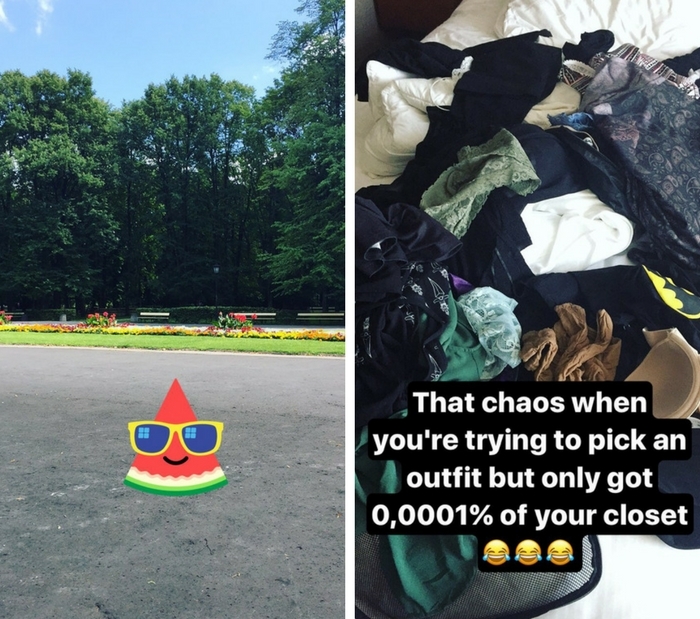 2) Yeah, I need to learn how to not having to have my whole closet and not outfit panic while being away...It was complete chaos on some mornings. 3) A random fact about me is that I love parks so visiting Łazienki Park which is the largest park in Warsaw was a must for me during this trip. Not only is the nature stunning but it holds amazing buildings as well. I highly recommend going if you ever visit Warsaw. And I made a lot of little squirrel friends, yes squirrels. 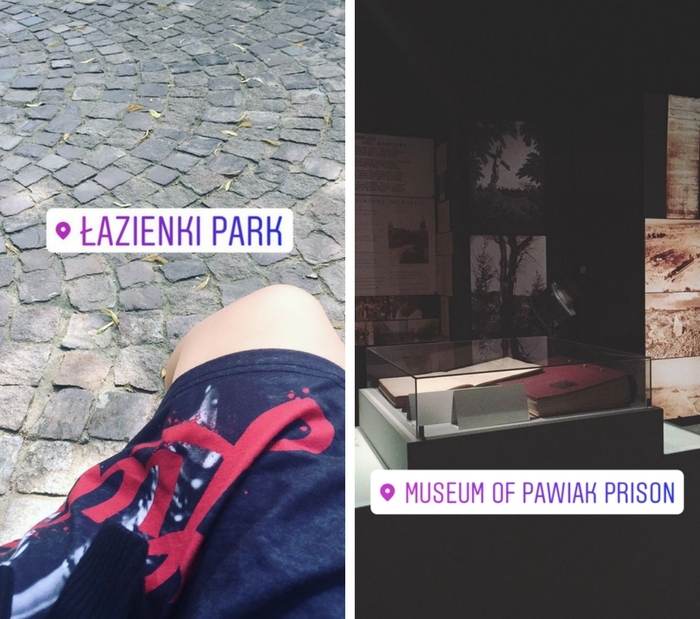 4) We visited a few museums one being the Museum of Pawiak Prison. I highly believe that if you mentally can handle visiting places like these it's important. It is a part of a very dark and heartbreaking part of human history but it's so important to learn and see it with your own two eyes. No matter how horrible it was and still is for the human race it must never be forgotten. 5) We had awesome weather. It was super hot most days and not as much rain as the weather reports kept showing, on the colder days it was still warmer than home. With the lack of Summer here in Sweden it was welcomed even by me who don't handle heat that good. I even got some color on my ghosty white skin. 6) We got hooked on this channel! 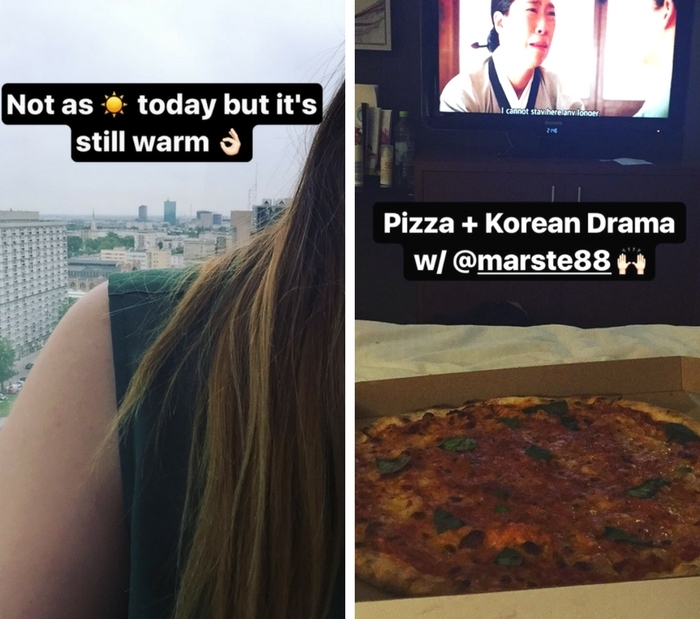 All they showed was Korean drama and we got so hooked ending up watching it every night before bed along with every morning getting ready for the day. I've always preferred Japan drama and been more on the horror when it comes to Korean but there was just something about it that kept pulling me in. 7) We attended The Army Museum. This was the fifth day and both my feet and back had beginning to hurt, a lot. But I kept on walking and we just sat down and rested more when needed the last few days. 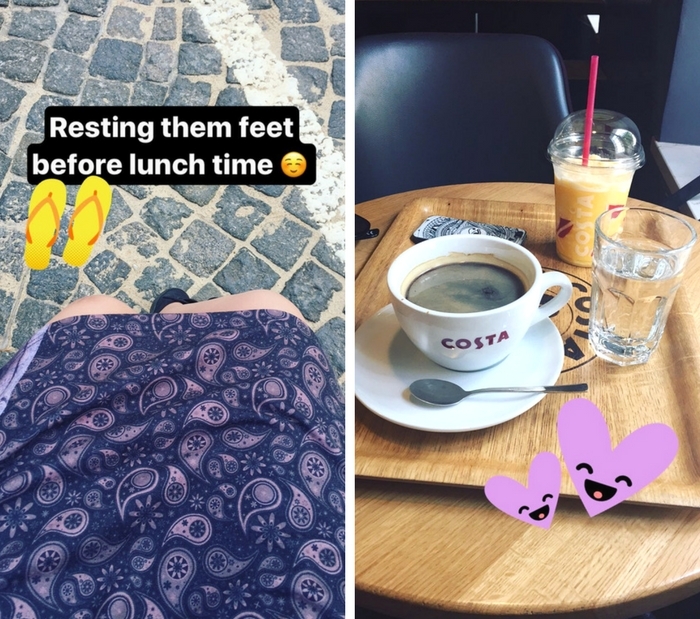 8) We decided after lunch which was a long walk but so worth it because we ate the best damn sushi I have ever eaten (along with finding a random comic book store in the middle of nothing) to sit down in a cool downed coffee shop (Costa forever in my heart yo). I filled up my coffee meter and my friend had a cool drink. 9 + 10) I loved Warsaw but the love that landed in my heart for Old Town there, my gosh. This was the area that I took my time saying goodbye to because I deeply fell in love with it. We spent Saturday night having a dinner picnic in the middle of it while waiting for it to be time to head to the Multimedia Fountain Park. 11) Saturday night we came back late after the show by the fountain. I had a foot bath and then spared my feet a bit by wearing this cheesy hotel slippers. 12) Like it says, one of the few buildings left of the old Jewish ghetto. It was on the way to certain things from out hotel and I snapped more photos with the camera. You can still see bullet holes from WWII in some of these buildings and they stand in the middle of all that's new around them. 13) We had breakfast every day along with our hotel room. 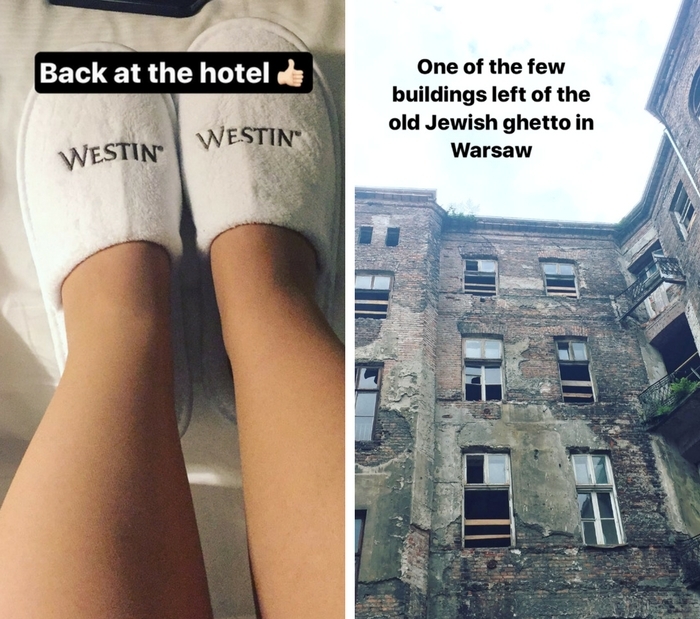 Living and eating is really cheap in Warsaw so we stayed at a five-star hotel. The breakfast was all good but I was disappointed they had no lactose-free choices...All I wanted was some soyghurt yo. Also if you just want regular coffee then it's the kawa option. 14) We visited The Royal Castle on Sunday because it was free entrance that day so we thought why not. Don't do that. We stood in a long line for at least 1 hour and the inside was a bit meh, we both had expected more. There were some sections closed off during that day so I'm curious how much more you get to see if you go on a non-free day. 15 + 16) Last day in Warsaw and even if things didn't go as planned it was a good day. 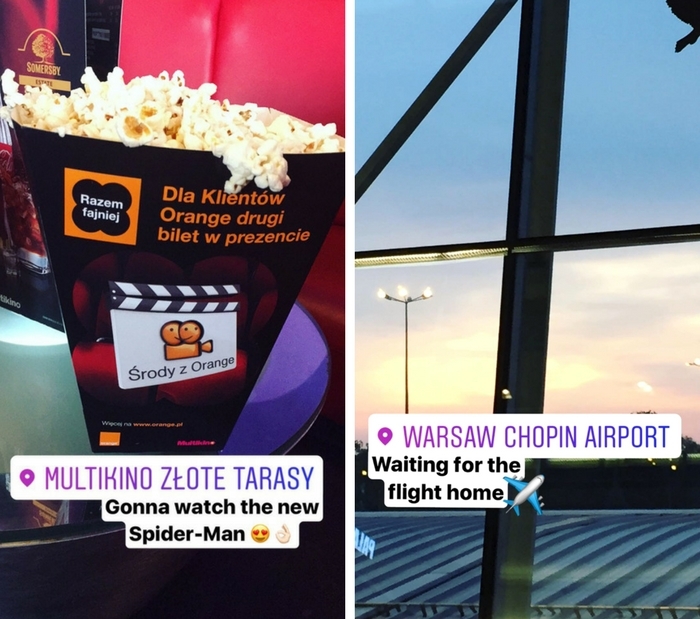 We ended up at Złote Tarasy (a shopping mall) deciding to try out going to the cinema. But before that while waiting we had some nomnoms at Green Nero Cafe. One of the best baguettes I've ever eaten, it was so damn yummy! 17) We decided on the new Spider-Man movie to watch. I am actually not the biggest fan of Spider-Man but it was good. One of my travel must-do's in the future is going to the cinema, just for fun to see how it is compared to Sweden. 18) Very early morning, our plane took off around 6:05AM so we left the hotel around 4AM already. I managed to get about 20 min of sleep so I passed out in my bed soon as I arrived home, not happy about being home. I will post at least one or two photo posts in the future. Luckily I could use my friends camera who I traveled with this time since I only own a dslr camera which I find clumsy to bring with me on longer trips. I am going to invest in a small camera soon since mine are used to the point of almost not working. If you made it through this whole post, hi! I am impressed you got through all that stuff because this became a hell of a lot longer than I thought it would.